If you think that today's world is complicated, you are not alone. We live in a time of uncertainty and economic crisis. Sustainability and green pop up everywhere. We search for ways to curtail spending and to conserve our resources. But, we cannot just stop everything. We need new and innovative solutions, without giving up our current lifestyle. We need to do something...but what? 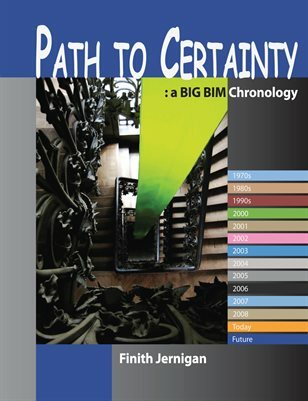 "Path to Certainty," describes Finith Jernigan's thirty year process of struggling with these problems to find ways to leverage resources, compete in a worldwide market, and become more efficient and productive in the planning, design, construction and operation of facilities.